Last weekend’s Clearwater Shootout was a good chance catch up with some underclassmen as well as find some new faces. Arguably the top performer from Friday was Lakeland junior Luke Anderson. The 6’7 forward can play inside and out. Most of his points came either around the rim or from the free throw line but he did connect on his two perimeter jump shots. He has the ability to score over smaller players inside as well as pull bigger players away from the basket area. Anderson impressed with his ability to rebound in traffic. 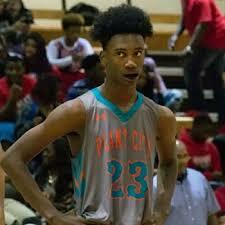 Another junior, 6’6 Justyn King from Plant City, made a significant impact for his team. King is a highly efficient player, taken only those shots that he is comfortable with and confident in making. He displayed range out to the three point line but his greatest success came from the high post and short corner areas. King is an active rebounder in his area and challenges shots when given the opportunity. Junior Darrin Greene has developed his reputation as a shooter and that is definitely what 6’4 Wharton product was on Friday. His shot selection was sometimes questionable and his overall percentage suffered from it but his range is deep and Greene seemingly hits shots when they are needed most. Late in the contest he started putting the ball on the floor and attacking the basket. The results were mostly positive and hopefully he will do that more in the future to round out his offensive repertoire. Before the Strawberry Crest/Clearwater contest, we got some advice to keep an eye on 6’6 Strawberry Crest senior Brandon Hill. That proved to be wise as Hill showed a wide variety of skills that should give him an opportunity to play at the next level. The lefty lacks heft but plays hard and doesn’t shy away from contact. Hill consistently made mid-range and three point shots when given the opportunity, was active on the offensive glass and ran the floor for scores. He also held his own when guarding smaller players on the perimeter. We were quite surprised to discover that 6’0 Charles Crewes was just a freshman after he led Strawberry Crest in scoring in the contest against Clearwater. He brings a cerebral approach to the game, takes good shoots, and displayed solid court awareness. Crewes proved to be a reliable shooter from beyond the arc, a capable finisher at the basket rather in transition or in the half-court, and made several plays on the defensive end that became steals and scores for either himself or teammates. Gilbert Mendez, a 6’4 junior at Clearwater, doesn’t really fall into the traditional basketball position categories; he’s just a player that gets things done. He spent a lot of time handling the basketball and orchestrating the offense for Clearwater. Mendez was quite effective at driving the ball, collapsing the defense, and dishing off to open shooters on the perimeter. He scored best on drives and made the most of his free throw opportunities. For the better part of a quarter, St. Pete Lakewood’s 6’9 sophomore Jamille Reynolds was a dominant force at both ends of the court. He scored well inside with a nice jump hook, finished thru contact, ran the floor in transition and denied opponent’ shots at the rim. Tampa Bay Tech adjusted their defense in response but the point had been made; Reynolds has serious upside. He already has a strong frame and if he develops over the next couple seasons as much and as quickly as he has this past year, Reynolds will have a lot of options for playing basketball at the next level.